What do successful eCommerce brands like Warby Parker, Birchbox, Greats, and Bonobos have in common? Yes, they’re well-known. They have differentiated from the competition in their niche and built a brand. Although there are countless other shops that sell glasses,cosmetics, kicks or men’s clothes, those brand names throw a long shadow. How did they do it? Great brand storytelling. Consistent brand strategy. And you can do it, too. Your marketing should be centered around the exciting origin, life, meaning, and value of your products. That’s your brand story. To begin, ask yourself, why should anyone be buying from you? Would you? Come on, be honest. If the answer is promotions, low prices, or Facebook ads, you have a problem. Price wars and overpromotion are like walking on thin ice. Do you think you can keep it up for long? Anyone can start an online store now. Drop-shipping is becoming increasingly popular among high-schoolers. How do you plan on standing out? No matter your niche, competition is ruthless and Amazon is present, too. Everybody is competing on price and retargeting. Because we’d love to see your web store thrive, we have a simple advice: don’t be just another T-shirt shop online. Don’t be generic. Build a brand that stands its worth. A brand story is the motivation, the spark, the quest or one-time accident that led to creating your products; the values, the vision for the future and the challenges behind your ecommerce business. What makes it unique and memorable. What positions you as somebody with a better reason to wake up and make things happen every day rather than just profit. 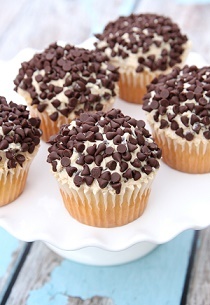 It’s the chocolate chips sprinkle on top of your cupcake. Sounds hard? You’re not sure? You might be doing everything right – having a great quality product and providing sleek customer service. You get traction from social media and you can’t complain, generally. But the questions is – are people hooked on your products? Do they ask for birthday presents from your shop? Do they find you online by typing “glasses online get one donate one”? (You bet Warby Parker shows up as number 1 organic result.) That’s why you need to build a brand. You don’t have to be Coca-Cola with their secret recipe or Zara’s founder and his epiphany on running a business. 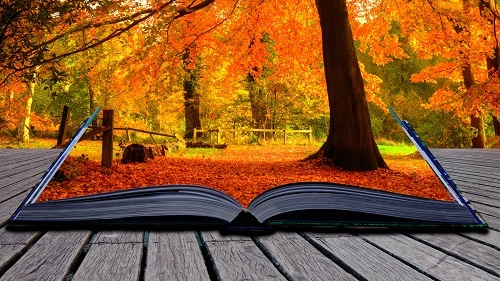 Great brand stories happen to all of us and it’s the storytelling that turns them into profit. A brand story is the idea behind what you sell. Since customers buy experiences and not items, your surest way to rise above the competition is to be more than a stock-mover. Read more on using your online store’s data to guide the customer experience. An adventurer, a connoisseur, a creative father, a troubled mother, a rebel, a craftsman/ craftswoman or just a lazy surfer guy who found a better way of waxing his board. I ask you again – why did you start this online store? Customers reward passion and buy from brands that are in line with their values. Let’s get to how to build a brand online then and make people choose you over the generic sellers in your niche. We work with incredibly original products every day and still get goosebumps when we see a full-blooded life story turned into the mission and vision of a meaningful ecommerce business. There are those entrepreneurs, lucky enough to find their passion and to share it with others through their businesses. The path they walked, their core values and their commitment form their fierce brand stories and captivate their audience. They sell passion and lifestyle as opposed to disposable items. The following examples of simply awesome brand stories behind successful eCommerce brands mean to show you the possibilities for any kind of products. Wow. Tools and knives. A craftsman cooperative from Latvia. 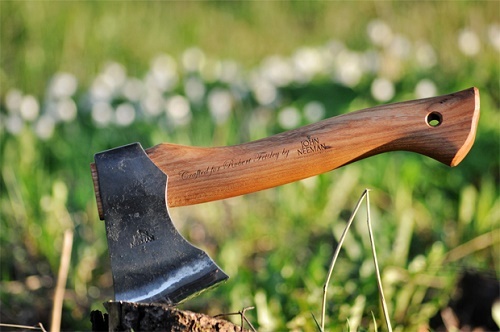 They started their online store to keep an old tradition alive and help others work with their hands. Their values and mission are so powerfully and unconditionally laid out that it even got me thinking of taking up some woodwork myself. In a niche so narrow and dominated by faceless home improvement chain stores, this small company emerges as a white knight guarding quality and the spiritual connection between a craftsman and his tools. On their homepage, the “About us”” and “Creating process” tabs come before “Products”. On YouTube, their videos of the making of various tools, beautifully edited, have a 6-figure number of views. Takeaway: Small can be an advantage. Big companies cannot be as authentic, value-driven and non-compromising as small ones. Hold to your mission and vision. The personal touches – the hedonistic lifestyle, a failed import venture and the continuous search for a good drink, position the artisan marketplace right in the heart of its audience. The founders just wanted a certain product and, unable to find it, realized local artisans need more visibility. 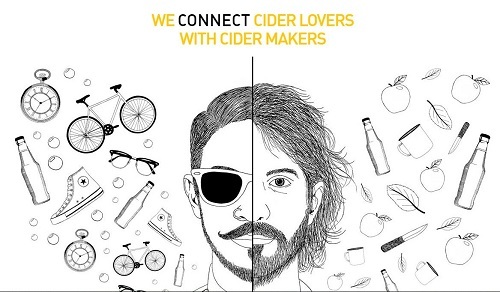 That’s when they turned from consumers into providers and filled in a gap that fellow cider-lovers are grateful for. The unfiltered story of the search and then the firm mission to provide a fair outlet for the artisans is authentic and immediately sets the company apart. They never wanted to just push inventory around and that’s a good reason for the like-minded to buy from them happily. 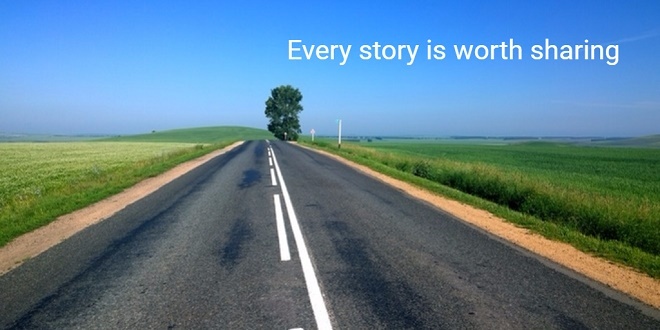 Takeaway: If you’re filling a gap on the market, your story is your ideal customers’ story. It means you know them better than you think. Invite them for drinks (literally or not, but use that). Inspired by that discovery and guided by sense of style, two gentlemen left their corporate jobs and created a subscription business for upscale socks that are a centerpiece in an outfit rather than just a necessity. They set the trend for bold colors and intricate patterns for a product usually so boring and black that nobody can tell one pair from another. Is it a quirky brand vision? Yes. But it finds supporters who share the value that men have to be dressed well from head to toe – a lot of celebrities have been spotted wearing the avant-garde socks. Takeaway: A product that stands out is sticky in the audience’s mind. Give them something to remember and find you by: “gentleman socks UK” or whatever. Online courses can be tricky – there are so many tutorials available for free, why should you pay for videos? 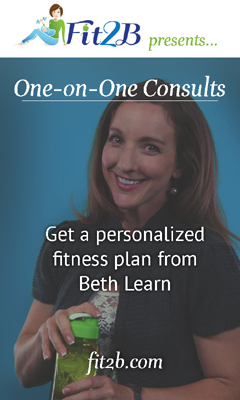 Instructor Beth Learn has built a huge membership club around an innovative approach to exercising for busy parents. She speaks to the underdogs out there, her brand story is a tale of personal change in mindset and conditions that her clients can relate to. Being down-to-earth and catering to this special segment – short on time, training for wellbeing, etc. – differentiates her from the majority of fitness instructors who focus on hard muscle building and rigid regimes with supplements. Takeaway: There are underestimated segments of customers within niches that can be delighted with a non-traditional approach. Don’t put yourself under the lowest common denominator. That one is not an example of eCommerce brand strategy only because we also love dogs. For reference, the owners started an I heart cats site, too. Justin Palmer, the founder, actually admits he wasn’t a dog lover his whole life. But – as it often happens – he adopted a dog and fell in love. This experience led to the idea of helping shelters with what they need most, quality food. So the store was built with donations to charity in mind. What you remember about the website – apart from the really cool t-shirts with dog lover humor – is that all prices equate a certain amount of dog food that’ll be donated. The community, as strong as it is, responds with a roar and 1.3 million dog meals have been provided to date. 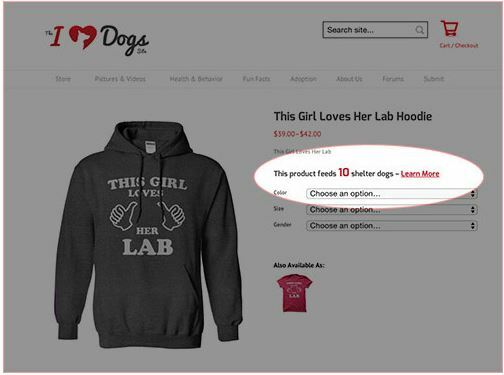 Takeaway: Some products and niches are based on really strong values and adhering to them (like caring for shelter and rescue dogs is) can be the spell that binds loyal customers to your online store. The others just gravitate around a community, but not actually cater to its ideals. Bullfighting, Mexico exile, falling in love with a deer-skinning girl (yikes!) 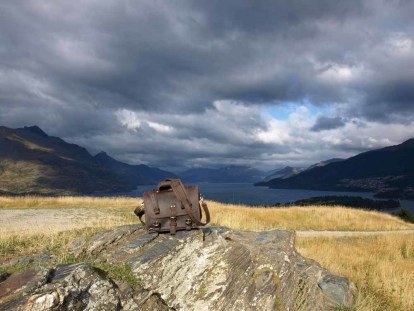 are only some of the adventures Dave, the founder of this genuine leather bags shop, met on his way to a successful eCommerce business. As in some of the other examples, he was looking for something in particular – a sturdy leather bags to hold his teacher books and “to be made so well that his grandkids would fight over it while he was still warm in the grave.” He couldn’t find it, had it made by a craftsman and it became his most-admired accessory. It turned out many and more people would pay for a bag to last 100 years (that’s their guarantee). Dave concentrated on finding the right craftsmen to make those bags with the finest materials and with fascinating attention to quality and detail. We have never read so much on stitching leather as in his 5-chapter Quality Story. With a product crafted with worship, it’s small wonder that happy customers share pictures of their bags traveling the world just like Dave started himself. Takeaway: your own obsession with getting it just as you imagine it might actually be the very best thing for your brand story. Quality and durability over planned obsolescence. In the examples above, the brand stories show different ways you can turn your struggles, searches and personal adventures into the backbone of your e-commerce business. Give customers something to say about your products. 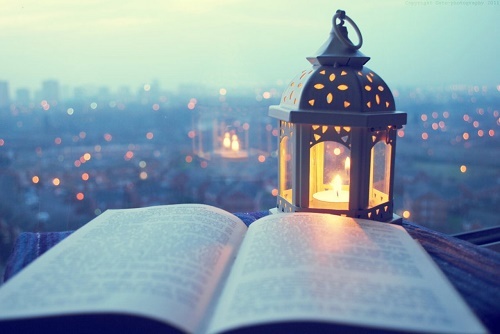 Infuse a personality, a soul, a back story. Give them a “why” to care about. How can I tell my brand’s story? Ok, you might not have it up your sleeve. Go through the questions below to start thinking about using what you have and turn it into a compelling story. How did it all start? How did you decide to set up an online shop? Why did you choose this product? What did you know about it then? In what way are you connected as a person to your product? What aspect of your business you’d never compromise? Have you changed any of the founding principles you started with? How do you source materials and products? Do you monitor quality? What people do you work with and how do you treat them? How does your business impact the communities it interacts with? What’s the single best feature of your product (the raw materials, the technology behind it, the craftsmanship involved, its no-fail functionality or something else)? What’s the added value for your customers? How do you deliver on your promises (on quality, customer service, function, etc.)? How original are you compared to others in your niche? Do you do anything differently? Do you get a good amount of brand searches or get found you by generic product searches? What aspects of your operations and products can be improved to become your strongest selling proposition? Can you polish things a bit? What values do you want to be associated with? What do you want to be said about your products? How do you see your business evolving – expanding internationally, growing domestically or staying small but true to core values? In what ways do you plan to stick to your values during growth stage? After you start thinking in that direction, check out this quick-and-dirty action plan on brand strategy. Then, look at others who manage to express that brand story of theirs in every aspect of the e-commerce business – website design, operations, ad campaigns and customer relations. reevaluating your whole strategy and reconnecting with the philosophy behind it (for existing). Basically, set your rules and play by them. Of course, you don’t have full control because a brand is half what you make it look and half how well you did it according to others. However, if you don’t even try to stand out, there always will be someone else, whose brand name is turning synonymous to the whole product category (for the language geeks out there, that’s called a proprietary eponym – think Kleenex, Pampers, Band Aid, Frisbee, Hoover and so on). If you liked this article, please be generous – share it with your buddies.